34 total shares. Be the next! Save Julio to your Collection. Register Now! Julio Reyes was born in Hollywood, California. Even as a child he knew that he wanted to be an artist, and he drew constantly. His ever growing imagination was fueled by his family’s tradition of telling what were often fantastical tales of his lineage, imbuing his childhood with wonder. Julio enrolled in the Laguna College of Art and Design in the year 2000 and began painting with oils for the first time. He learned about art history and aesthetics, as well a classical approach to the materials and techniques of both painting and sculpture. He became a juried member of the California Art Club in both painting and sculpture, participating in their 98th Annual Gold Medal Exhibition. He also received awards from the Art Renewal Center in their ‘06 and ‘07 salon competitions. 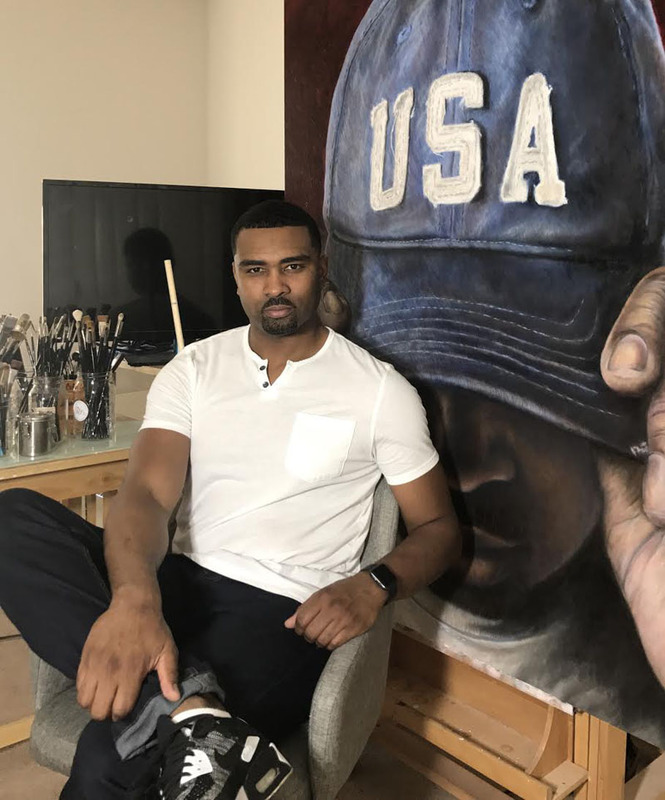 His work has been featured in the 2008 December issue of The Artist’s Magazine, where he received high honors in their 25th Annual Portrait Competition. 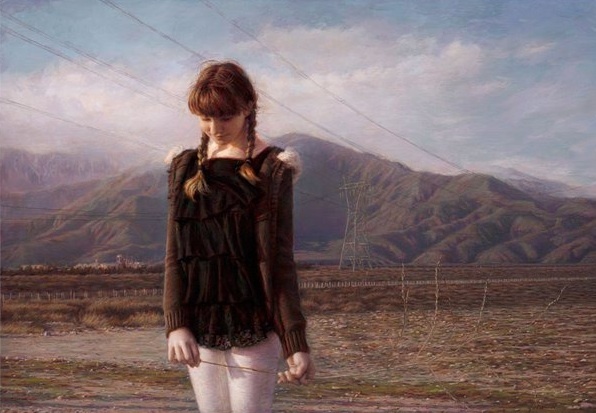 "His paintings evoke a sense of nostalgia. 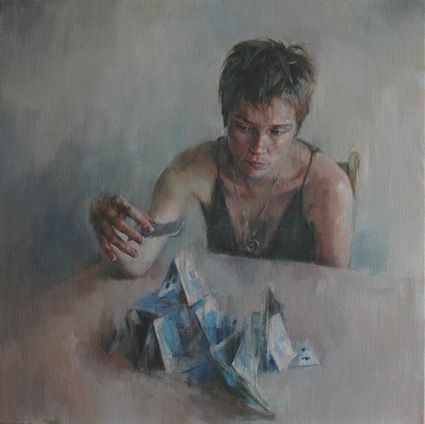 The painterly realism coupled with the figure in his work conjures up old memories. Leaving the viewer with a longing for what once was." as our demand for progress and innovation eclipses our appreciation of esthetics; and worse yet, common sense. I love all of your works but I liked the horse drawing done in pencil the best. You are talented it must run in the family???? Empire is wonderful, i can really feel it, Thank you Julio Reyes that is very nice. I just absolutely love the first one. i want it hanging on my wall. i do not know why i like this but i love it so much. 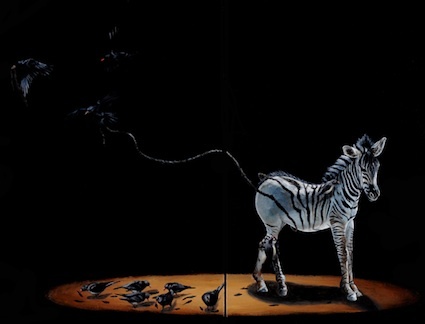 I love these works, they are stunning in person! Julio is such a talented man. These are large pieces, and have incredibly interesting paint character up close. He is my favorite artist! Wow! Beautiful! So realistic looking too! I see a bit of myself in that first girl, haha. Amazing pieces! 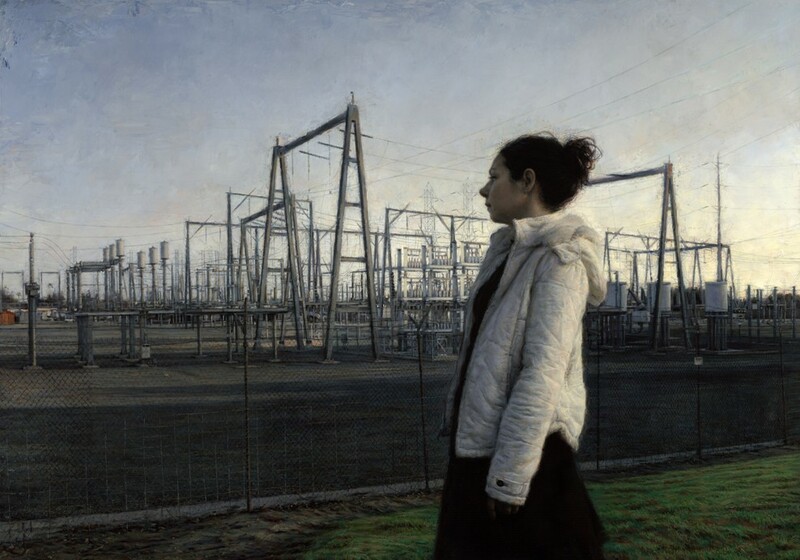 Both paintings are beautiful however the painting of the girl near the power plant is outstanding - It looks like a perfect photograph! Beautiful technique! Very meaningful! Thank you!